The program begins check for ECU’s (Electronic Control Units) installed in your vehicle. If there are errors in ECU, it is highlighted in red and displays the number of errors. In case of non-compliance (to the next higher mileage or VIN-number) unit is also highlighted in red. For each programming the ECU it entered their IDs (AIF). 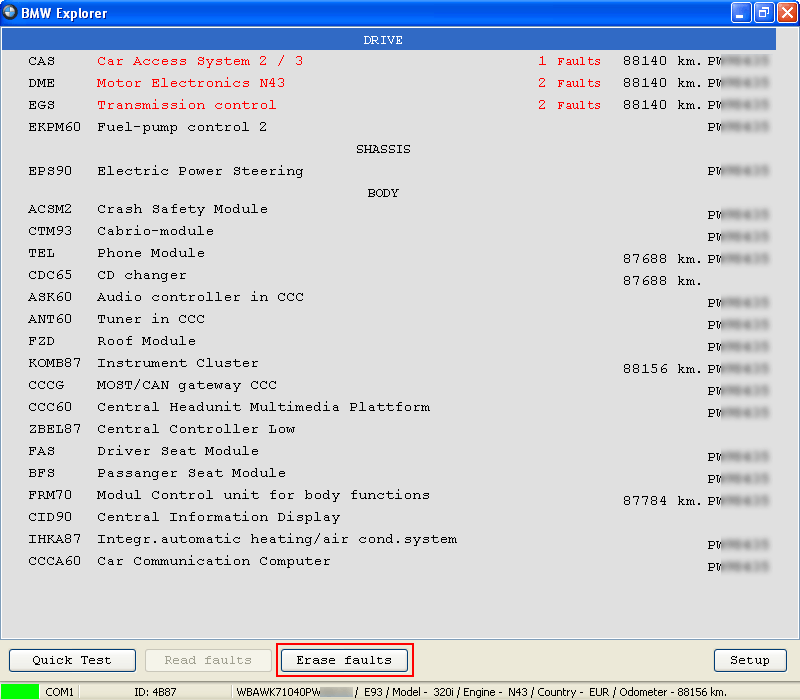 From left side, the function buttons for reading and erasing errors in ECU (current as well as saved). Errors and the number of errors are displayed in the upper right window. 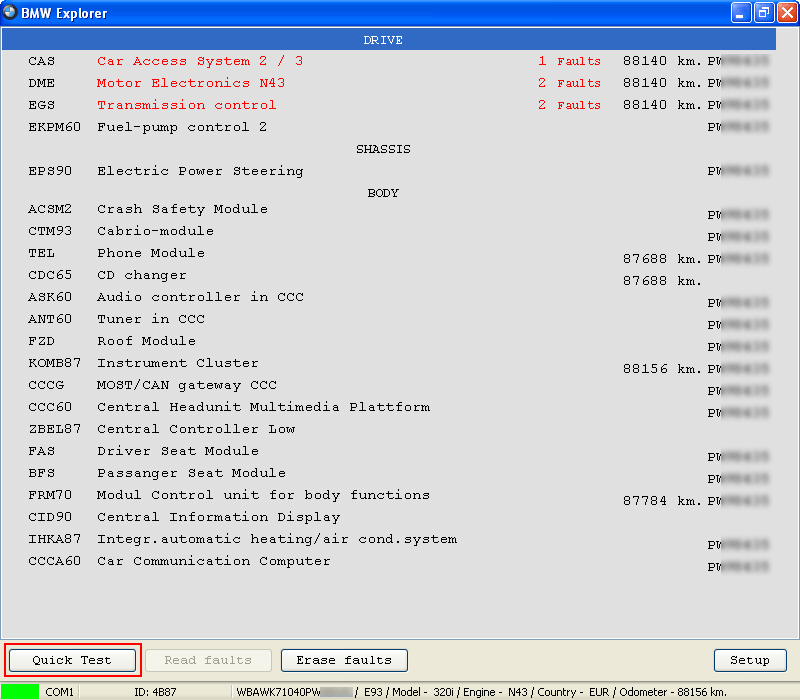 In some of the ECU’s, you can change data on the latest programming. It is also possible to erase all the errors, without going into each ECU. 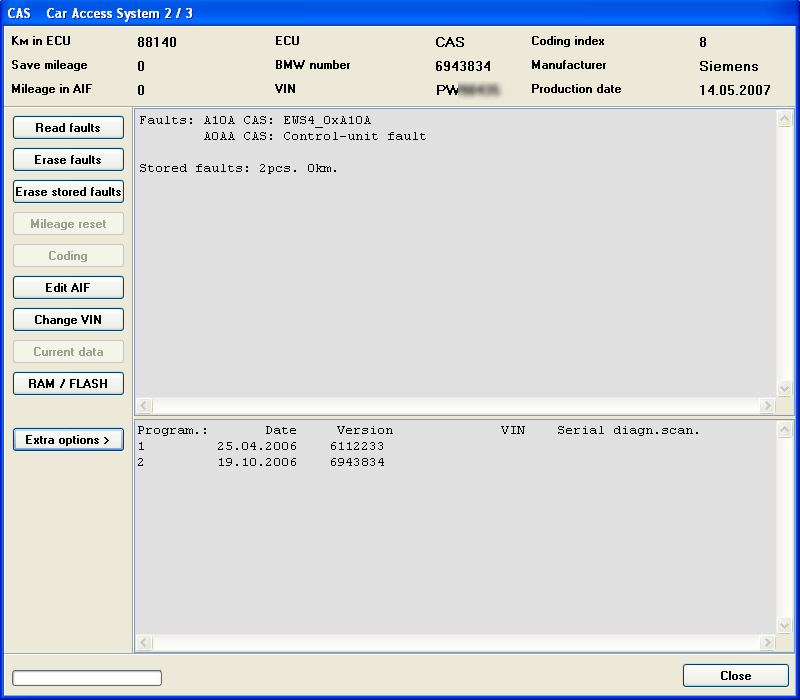 When you click “Clear error” in the main window, BMW Explorer will check ECU’s again for any errors and erase them. FYI, BMW Explorer here is verified to do diagnostic tests with BMW E/F scanner II.